In 2015 we held workshops in Rome (IT) and applied some of the ideas on site. Here is a video documentation of the work we did! Enjoy, comment below and share. The project space series “Rethinking food markets” is searching for solutions to revitalize food markets, which are local, social, economical and ecological. “Rethinking Food Markets” is a project that aims at elaborating strategies to revitalize declining marketplaces. Public spaces are created in interaction of various social groups. Marketplaces have traditionally constituted some of the most important public spaces, attracting people from all ways of lives and all financial capabilities. In the past decades, however, they gradually lost their role: while urban and metropolitan agriculture are flourishing, and an increasing number of enterprises work on short chain food distribution, many markets in European cities are abandoned or underused. The project explores the possibilities to renew markets as public spaces, by connecting them to new agriculture initiatives, by inviting various actors to play a role in their renewal, and by creating viable economic models for their maintenance and vitality, by including new social and cultural functions. 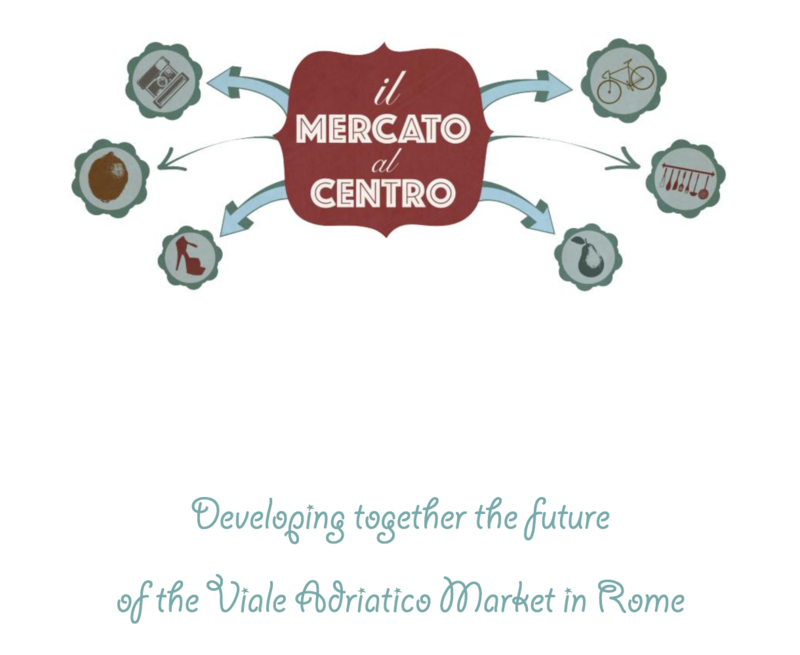 This video “Nuova Vita ai Mercati – New Life to Markets” shows what the people in Rome are doing to revitalise their local markets. a cooperation of Eutropian Rome (IT); in collaboration with TSPOON; with the support of the and the .. supported by Dutch Embassy, European Cultural Foundation and BKA. Daniela’s and Levente’s article on the project was published in the ECF Magazine “We Build the City”. read it online here. Hola Very useful advice in this particular post! It is the little changes that produce the biggest changes. Many thanks for sharing! Hi, just came across this website. Its a great illustration of how small to medium sized companies can use Awards based marketing to get their companies recognised on the 1st page of Google. Awards programmes offer many benefits to winners. After all they bring recognition and you can share the news of your win with your employees, clients, industry peers and target market as much as you like. Additonally awards offer prestige and status, giving potential customers peace of mind that they are working with a reputable company. There are many types of awards programmes, including those that host awards ceremonies (and you pay per table), organisations that award only their members (and you pay for membership and sponsorship) and those that provide marketing materials. The latter is a great choice for those who are wary about the benefits of using corporate awards programmes because generally nominees and winners do not have to pay a penny to be considered. Participants often receives online recognition, usually with a reach much greater than their own marketing efforts can offer. Other free benefits can include the use of an press release. Most participants have the option to purchase additional marketing materials to further utilise their win, if they wish to, for use in social media campaigns, on their own website, email marketing campaigns or in customer newsletters. Cool Some extremely valid points! I appreciate you penning this article and the rest of the site is extremely good. You are a very smart person!please join me just click my name above.